Our traffic light wheel can simply be rotated to show the level of stock that is available. Green for good, amber for getting low and red for out of stock. 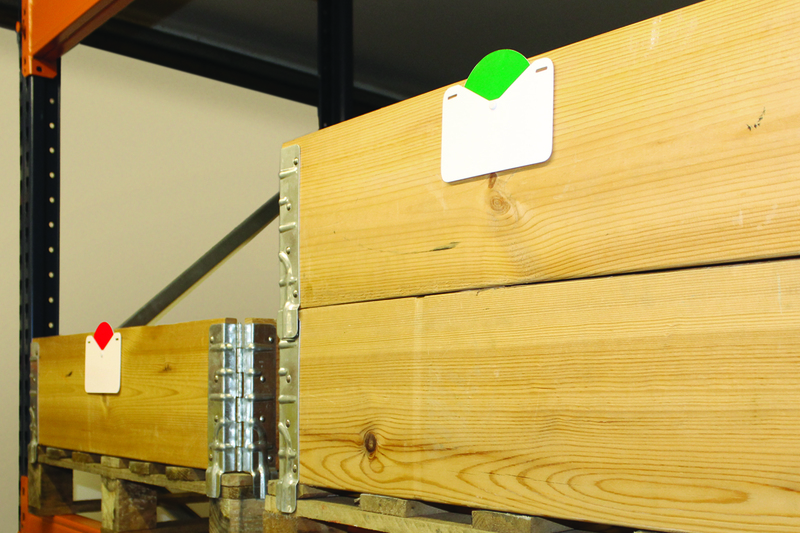 The colour coding helps immediately show what products need to be re-stocked without having to view the products which often involves man up trucks or forklift attachments. 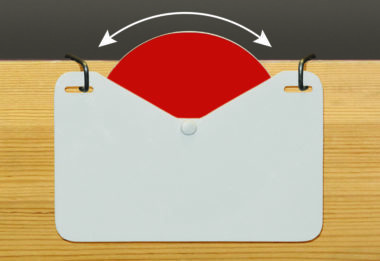 The indicator wheel is available with a choice of different fixings, self-adhesive, magnetic or wire-clip for attaching to wooden pallets and stillages up to 25mm thick. For extra stability the self-adhesive option also allows for the holder to be screwed to the fixing surface. Warehouse Supplies, Warehouse Rack Signs, Warehouse Plastic Labels and Tags. A clear colour coded system that shows stock availability for when products are not visible, simply move the indicator wheel to either red, amber or green. Available in different fixings, all supplied in packs of 10.